You often hear profesionals in the beauty industry say that the most important part of make up application is the skin itself. Having a good base of glowing, healthy skin is the key to a flawless and radiant look. So how do make sure your skin is in the best condition to achieve that bridal glow? We've laid out a skin care routine that will have you looking your best on your big day! This is the time to completely revamp your skin with intensive treatments. This can be done through the use of acids and skin peels at home but consider seeking out clinical laser treatments as well. It's better to begin the use of your acids and peels at this time because using aggressive skin care treatments too close to your wedding could cause skin to become stressed, leading to sensitivity and break outs. When selecting your ideal peel there are certain ingredients to look out for. The first is salicylic acid which is your best friend when it comes to clearing your pores and reducing acne scarring. Glycolic and lactic acids are it’s more gentle cousins, helping with shifting those pesky dead skin cells. Collagen production, which makes skin appear supple and firm, can be stimulated by Retinol peels but to really penetrate those deep layers of the skin tricholacetic acid is the best way to go. One that I've personally tried and tested is Dr Dennis Gross Alpha Beta Universal Daily Peel which incorporates a few key acids along with fruit enzymes for extra glow. 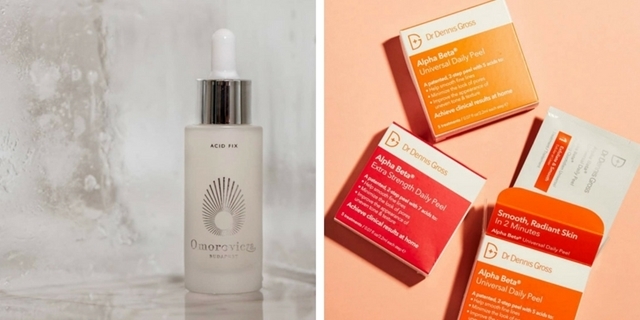 Another handy item always in my beauty cabinet is Omorovicza Acid Fix whose brilliant combination of glycolic, salicylic and lactic acid buffs away dead skin cells leaving smooth skin and reducing pigmentation. At this stage you should also begin introducing supplements into your diet. 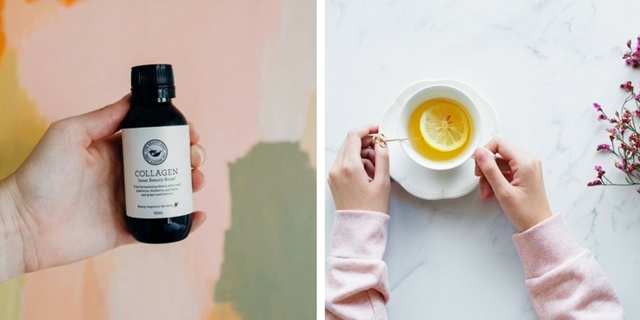 The link between gut health and great skin has been proven time and time again; if the inside of you is shining it shows on the outside. Try a probiotic such as The Beauty Chef Collagen Inner Beauty Boost which is designed specifically to increase the production of collagen and create a radiant, naturally plumped complexion from the inside out. Chamomile tea, with it's high concentration of the phytochemical quercetin, protects you from sun damage and green tea boasts an impressive range of catechins like Vitamins C and E that restore and revive dying skin cells. It’s time to take it easy on your skin and move away from aggressive polishing treatments to a focus on hydration. This is best done using natural face oils, serums and moisturisers to keep skin hydrated and glowing. An important part of the recipe is to add vitamin C! Absolutely swimming with antioxidants, vitamin C stimulates collagen synthesis which results in a plumper, firmer complexion with more glow than ever! My personal favourite for many years has been the Mario Badescu Vitamin C Serum which does wonders to help with any discolouration and brighten my skin! 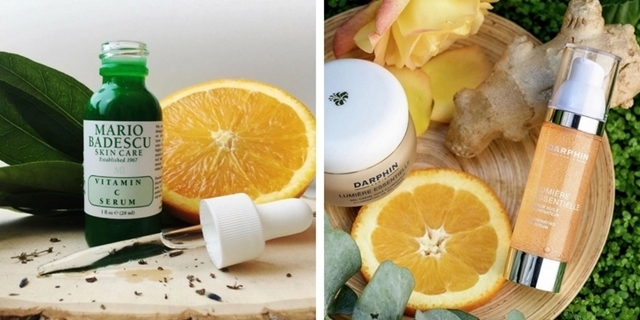 Another great option is Darphin Lumiere Essentielle Illuminating Oil Serum, formulated with invigorating marine extracts and a beautiful blend of tangerine, orange, neroli, ylang ylang, cedarwood and ginger essential oils. The night before your wedding you should give your skin one more hit of vitamin C by using a mask packed with antioxidant goodness. 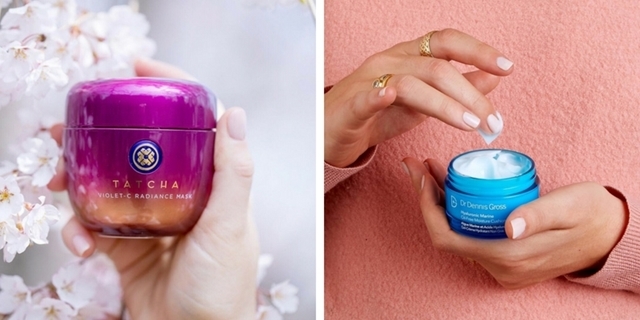 Tatcha, a brand inspired by classical Japanese beauty secrets, has the perfect solution with their Violet C Radiance Mask. After this apply a hyaluronic moisturiser like Dr Dennis Gross Hyauronic Marine Oil Free Moisture Cushion. This type of moisturiser boots collagen levels and retains skin moisture, meaning you’ll wake up with a supple, glowing complexion. 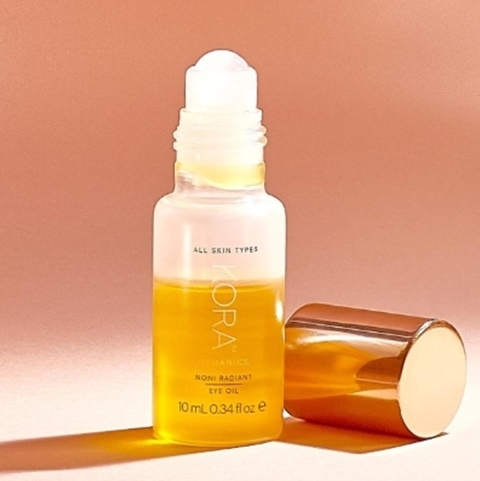 Give your under eyes a little attention to by using an eye cream or oil, like Kora Oraganics Noni Radiant Eye Oil, that will make sure they are bright and clear with no dark circles for the next day. Follow these steps and see your skin transform into a dewy, radiating base that will have you luminous throughout your entire wedding day. Leave any other great skin care recommendations in the comments below and share your bridal glow with us through using #veilability. A lover of art, literature and coffee, on the weekends you can find Georja scouring through bookshops with a large cappuccino in hand. She grew up on the beautiful Sunshine Coast, spending most of her spare days at the beach or helping out at her Grandmother's little florist shop. After being surrounding by talented florists and weddings her whole life, Georja has a passion for flowers and floral arranging. Her favourite thing about a wedding is (of course) the stunning flowers! When she's not busy creating awesome content for Veilability's couples, Georja is completing her final year of a Marketing Degree.